One of my resolutions for 2018 is to get in the best shape of my life. I know…it’s a biggie! Obviously, a large part of reaching this goal will involve diet. I started planning my vegan meals and it’s making my life so much easier! My slow cooker is fast becoming the most used appliance in my house. I love how convenient it is! 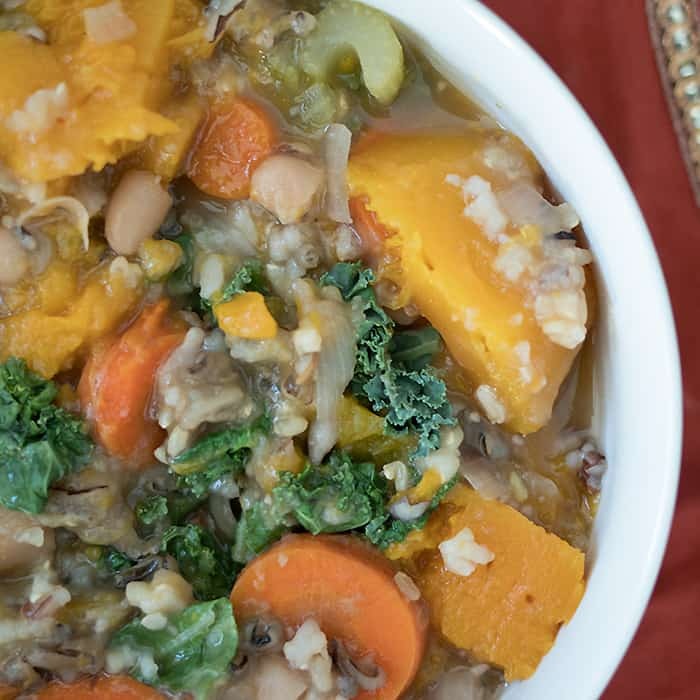 This slow cooker Vegan Wild Rice Veggie Soup is filled hearty and delicious butternut squash. It also has chopped kale for an extra boost of goodness. 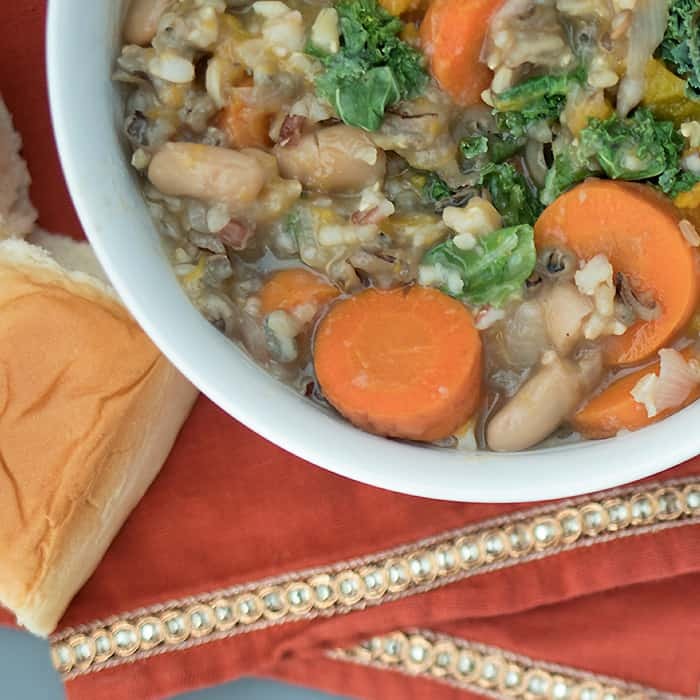 It makes 6-8 servings so it’s perfect for leftovers. 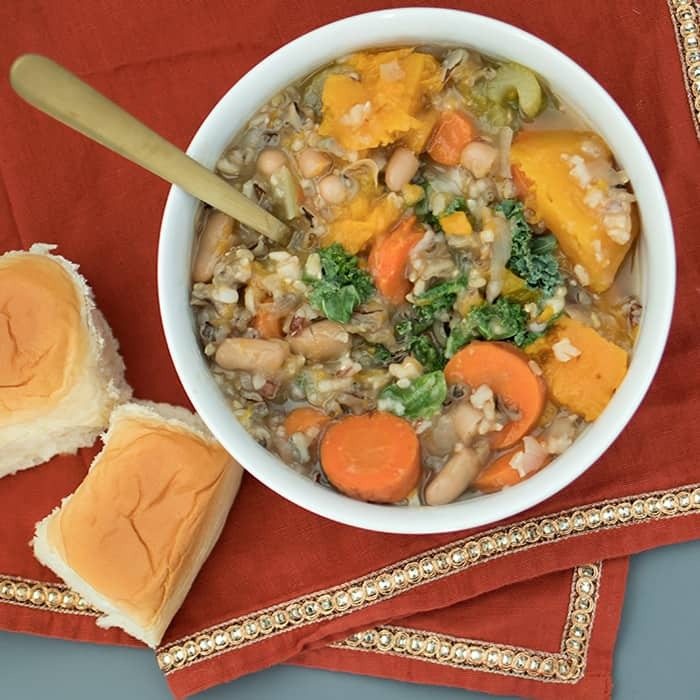 Want more Vegan Slow Cooker Recipes? Pour ingredients (except the kale) into the slow cooker and stir. Cook on high for 4 hours. Add 1-2 cups water if you like the soup thinner. Stir in kale once soup is finished cooking. Vegan Slow Cooker Apple Pie Oatmeal plus a trick to prevent the sides from burning!